The whole Bollywood film industry is shocked to hear the news of sudden demise of the legendary actress Sridevi. Especially for this time when her upcoming projects were in the discussions a lot. Rumors were also that Sridevi was supposed to have a cameo in her daughter's debut film Dhadak. She was spotted several times on the sets of Janhvi's film. 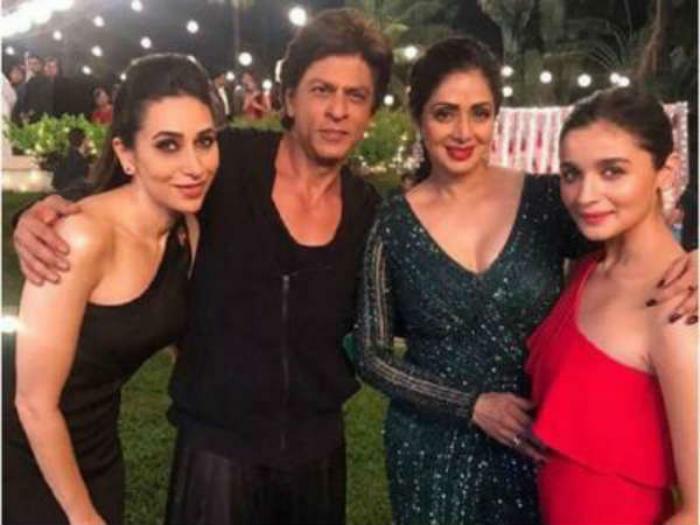 Even she was also in the discussions for the sequel of her career's biggest hit ever Mr India, but the interesting thing is that Sridevi's last film turned out with Bollywood superstar Shah Rukh Khan. Actually, Sridevi's last film will be Zero starring opposite Shah Rukh Khan in Aanand L Rai's film. Recently the actress shot a cameo role in SRK's film that is slated to release on Christmas 2018 but the saddest thing is that she is not alive to see what she did in Aanand L Rai's film. This year Sridevi completed her 50 years in the films as she was working in the films from the age of 4 years. Sridevi also worked in several films in Tamil, Telugu, Malayalam, and Hindi and that is something unbeatable for any actress.